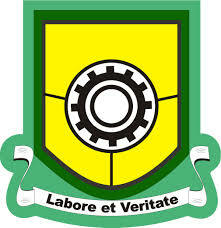 Yaba College of Technology (YABATECH) resumption date for the commencement of academic activities for both part-time and full-time students for the 2018/2019 academic session. This is to inform all Academic Staff and Students of the Yaba College of Technology (YABATECH) that the Academic Board as its emergency meeting held on Thursday February 14th 2019 resolved that the 2018/2019 Academic Session should commence on Monday February 18th 2019. Consequently, registration and lectures will commence on Monday February 18, 2019 for newly admitted and returning students, Full Time and Part Time weekday students while lectures for Part Time weekend students will start on Saturday February 23, 2019. All categories of students are to ensure they complete their registration within the stipulated period. Late registration will attract penalty of N5000. Any student that fails to conclude the registration procedure by the deadline will be deemed not to have registered at all.